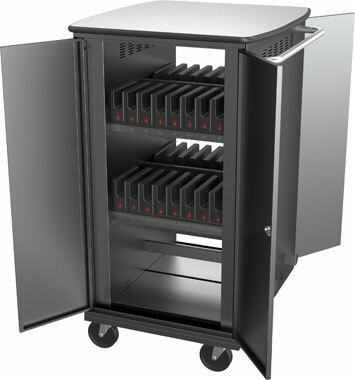 Some of the images above show the 48-slot cart for illustrative purposes only. 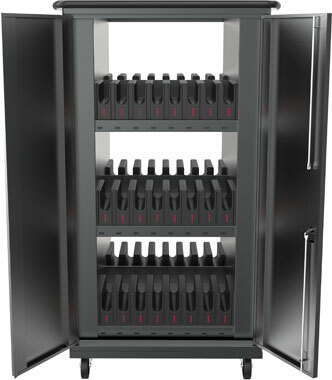 This model holds up to 32 tablets, and has extra storage space on the bottom for other devices and supplies. 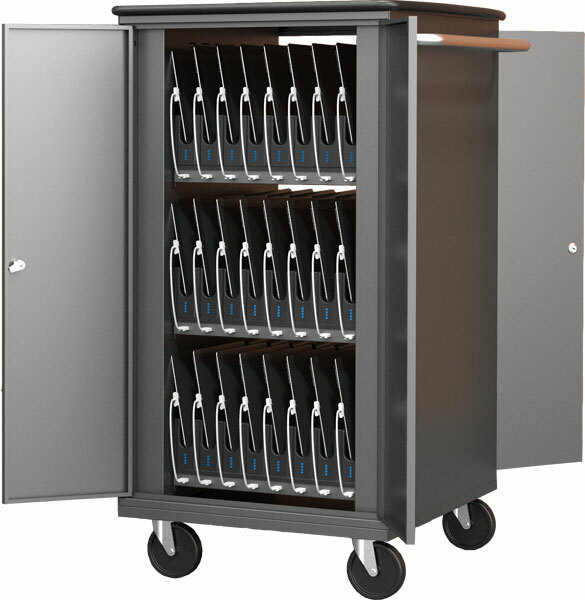 Easily sync and charge up to 32 tablet devices with the Balt High Capacity Sync/Charge cart. Controlled power management cycles the charge to the devices that need more power, which helps extend battery life and save energy. Charge up to 2.1 amps per device using only one power cord. 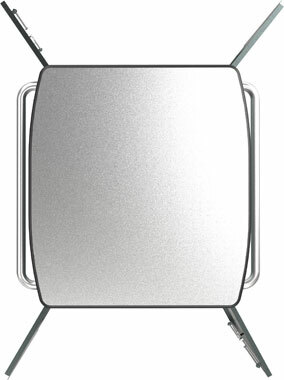 Each tablet slot has four charge indicator LED lights that let you know the level of charge for each device. Apple devices can be set up and confiugred to sync using the Apple Configurator app available directly from Apple. Sync each Apple device through iTunes to a host computer. Non-Apple devices will appear as USB drives when connected to a computer, and can sync via the drag and drop method. 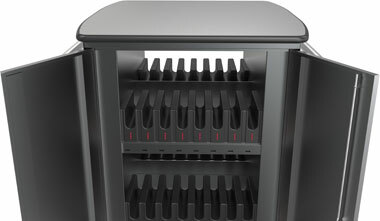 Other features include heavy duty 3" casters, cord winder and power receptacle, and ventilation panels to keep devices cool and prevent overheating.